Obituary for William Edward Shehan | St. Stephens Funeral Home, LLC. William "Bill" Shehan, 90, passed away June 14, 2018, at his home in St. Stephens, AL. He was a native of Megargel, Alabama, a son of sharecroppers. Bill loved the military, and always dreamed about his days serving in the United States Air Force. He joined the Air Force at an early age and lived in many other states and countries throughout his service. Bill especially loved the Southwest.In the Air Force he was a cook, B-52 bomb navigation instructor, and a weapons mechanic and was proud to be a part of the Air Commando # 5040 division. Bill served in the Korean War and Vietnam War. Bill's best friend was Master Sergeant Robert A. (Bob) Yow. USAF ATC RETIRED AIR FORCE. He loved to reminisce about the old days - fly fishing, Air Force, old friends, building helicopters and camping. He was an avid reader; one of his favorite authors being Louis L'amour. 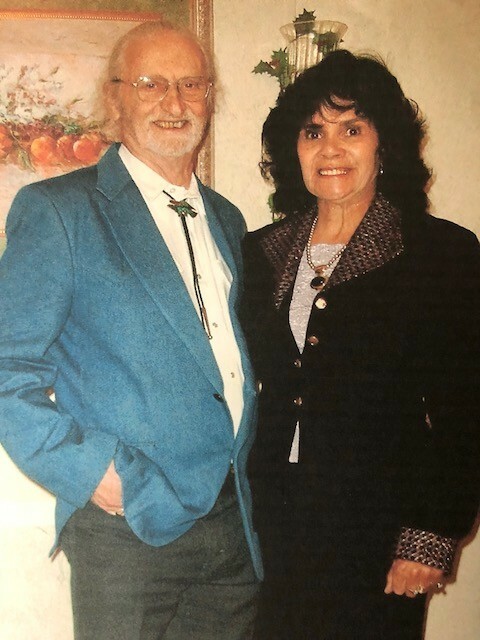 Bill loved his family and cherished his wife, Patricia. He became close to DJ Painter over the past couple of years and appreciates DJ helping to take care of him. ALL babies grew up adoring their Grandfather and will always have special memories of him. Bill was loved by so many and will be truly missed. Visitation will be Monday, June 18, 2018, 10:00 AM ~ 11:00 AM, Reeds Chapel Baptist Church followed by the Funeral Service at 11:00 AM. Officating will be Bro. Chad Orso and Bro. Ricky Turner with St. Stephens Funeral Home directing. Interment will be at Reeds Chapel Church Cemetery. We welcome you to honor Mr. Bill by donating to The Special Operation Warrior Foundation or any Charitable Organization that helps needy children.